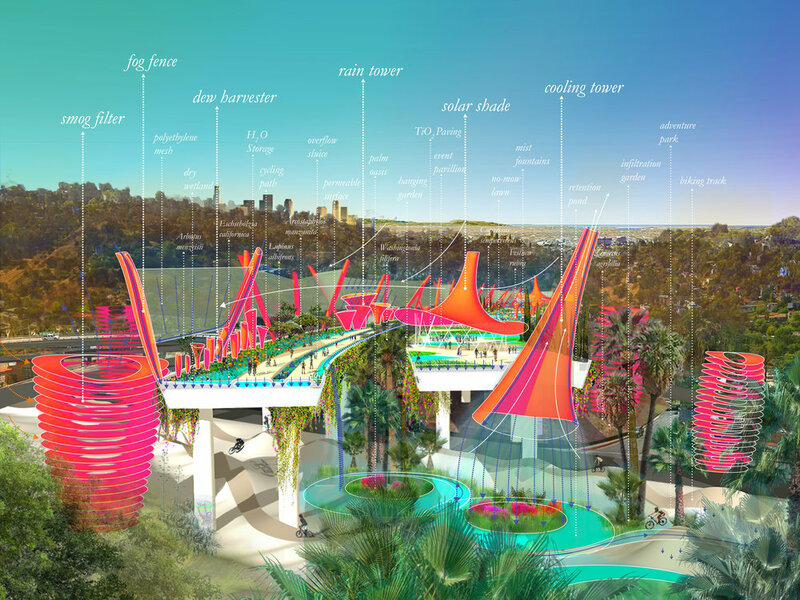 This project reimagines Los Angeles’ 2 Freeway stub as it runs south from the 5 Freeway and descends into Silverlake and Echo Park, northwest of downtown Los Angeles. Published in July 2016, this exploration was part two in a series on Los Angeles's aging freeway infrastructure by La Times architecture critic Christopher Hawthorne. The southwest stub of Freeway 2 is ripe for re-thinking in ways that might serve as an incremental model for similar freeway stubs in the region, and eventually for longer portions of freeway. The Stoss proposal does so without pretending it away—like many others, we acknowledge the appeal and heroism of these infrastructural monuments—but by turning the freeway on its head: re-making it as a social connector, a smog and carbon absorber, an important piece of sustainable hydrologic infrastructure, and a catalyst for civic, recreational, cultural, and economic activities. We re-imagine this mono-functional infrastructure as an environmental, social, and civic machine, cultivating life for local residents and for a regional (perhaps even global) constituency. Working Vacancy is the articulation of a conceptual strategy that unlocks the economic value of vacant land, putting it to work economically, socially, and environmentally. 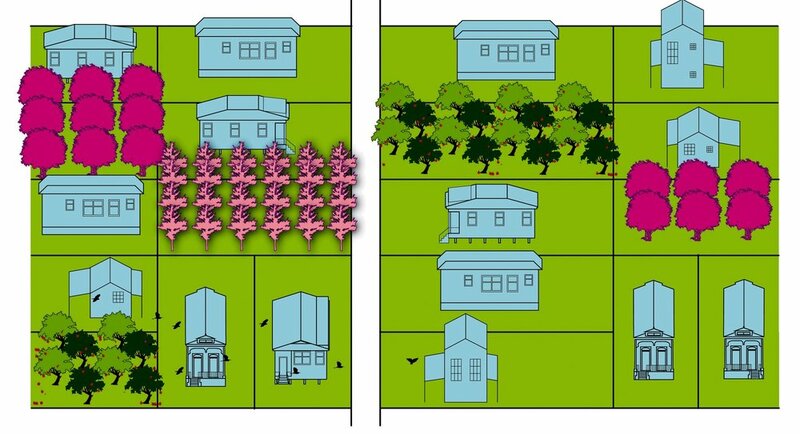 It’s a flexible approach to vacant land usage that addresses aggregated and assembled lots, rather than individual lots—looking holistically at the opportunity within a larger community. It is about economic opportunity and aligning economic development with land use choices over the short and long terms, building on New Orleans' distinct social, cultural, and environmental foundations. And, through implementation of productive landscape and jobs-creating land use strategies, Working Vacancy creates a vision for the future of New Orleans that addresses underserved existing populations; initiates retention strategies for energetic young workers who cannot find affordable housing and jobs; invites entirely new populations in to reinforce and stabilize neighborhoods, and seeks to alleviate significant shortages in economic opportunity, affordable housing, developable land, and land maintenance resources. 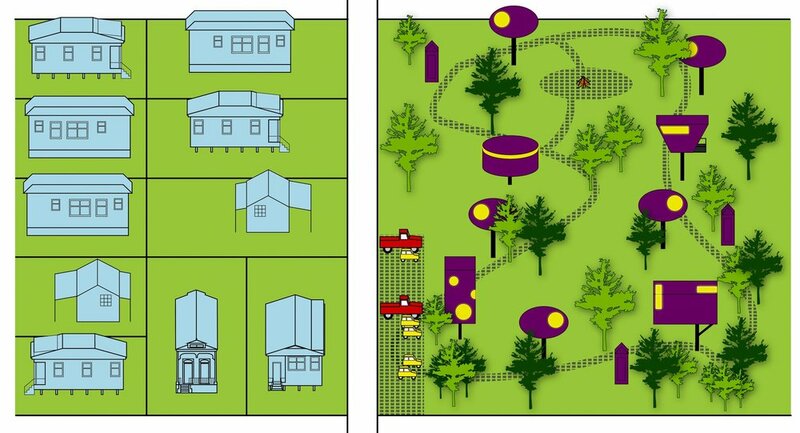 In short, it's a strategy for re-making the city's least productive and empty lots as vibrant, productive, and energetic landscapes for a revitalized New Orleans. Working Vacancy assembles vacant lots to create productive parcels. Above, in the foreground, a lot becomes a helicopter pad ferrying workers to and from the Gulf oil rigs, while providing temporary housing across the street. AirTnB—Vacant lots become temporary lodging sites when the city hosts large festival and events. 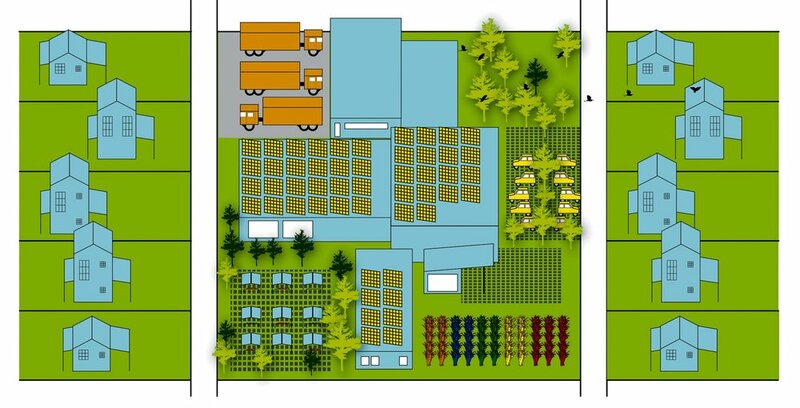 Urban Farming—Disparate lots are assembled to create farming parcels of viable proportion. Maker’s Spaces—Vacant lots become productive ‘Maker Spaces’ supporting entrepreneurship. Food Hubs—Vacant lots become food hubs for the aggregation and distribution of fresh food.